This railway terminal has been a New York icon since it opened in 1903. And while you could easily spend a whole afternoon at the station, busy Instagrammers should focus on a few things. First, the exposed lightbulbs. The station’s designers left the bulbs uncovered to play up how they were using the new technology. Also photo-worthy are the astronomical ceiling and four-faced brass clock (valued between $10-20 million by Sotheby’s and Christie’s) in the main concourse, as well as the Guastavino tile ceiling outside the Grand Central Oyster Bar on the lower level. Briefly the tallest building in the world, the Chrysler Building is a beloved New York City landmark built in 1930. 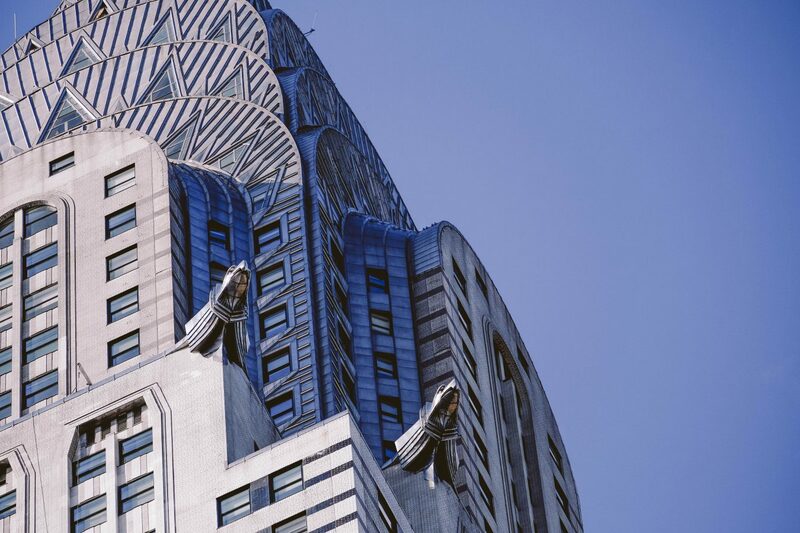 And while the Chrysler Building may have been surpassed in height by the Empire State Building a year later, no New York skyscraper has ever outmatched its Art Deco splendor. The building’s terraced crown is one of the most recognizable (and photographed) in New York. Based on designs by iconic architects Le Corbusier and Oscar Niemeyer, the United Nations Headquarters was completed in 1952 in the modernist International Style. Guided tours of the complex are the best way to experience the modernist New York City landmark, both outside and inside. After a three-year, $177 million restoration to clean its marble surfaces and stained glass windows, the scaffolding is finally down at this massive Neo-Gothic cathedral. The Fifth Avenue landmark opened its doors in 1878. Point the camera up to catch the church’s gorgeous ceiling and windows, or head outside to capture its 330-ft. twin spires. Founded in 1861 (and in its current 59th Street location since 1886), the flagship Bloomingdale’s department store is a New York institution. By the 1920s, it had expanded to cover the entire city block it does today. The shopping mecca is also famous for its glamorous Art Deco facade. Walk across the street to get a wider angle, or focus your shot on one of the store’s elaborate window displays.